God particle is light, and matter comes from it. 1. Acts of consciousness and mind, create matter the universe. 2. There is a field, mind of God, that bubbles these acts of consciousness into the universe and into our mind. 3. Stuff of the universe is light, field or mind of God, Higgs field, if it wasn’t there everything would be whipping around at the speed of light, without matter. Matter comes into existence when particle light interacting with the mind of God, creating mass, inertia comes into existence. Higgs came into being later, first there was only light. God said let there be light, there was light, in Bible. There are 2 kinds of light, spin-one-half, becomes material world interacting with this field, spin-one light, doesn’t interact with mind of God, but messengers between spin-one-half particles. Higgs field brings universe into existence. To physically move takes effort, it’s actually relationship of light of your body with Higgs field. If field is weak then you will become a Light Being. Mind of God is keeping everything, matter, to become light. Bridging spiritual and scientific. Quantum field theory research lead to this book [Time Loops and Space Twists]. You learn more by teaching. Explaining to lay audience proves you really know it, to make it simple. Quantum – Study of light on atomic level lead to finding that light was not waves but ended in lumps of light, not continuous, at the atomic level. The material should not be the primary and only things we think about. Thinking about the ideal, like Plato, not manifest, beyond the material senses. 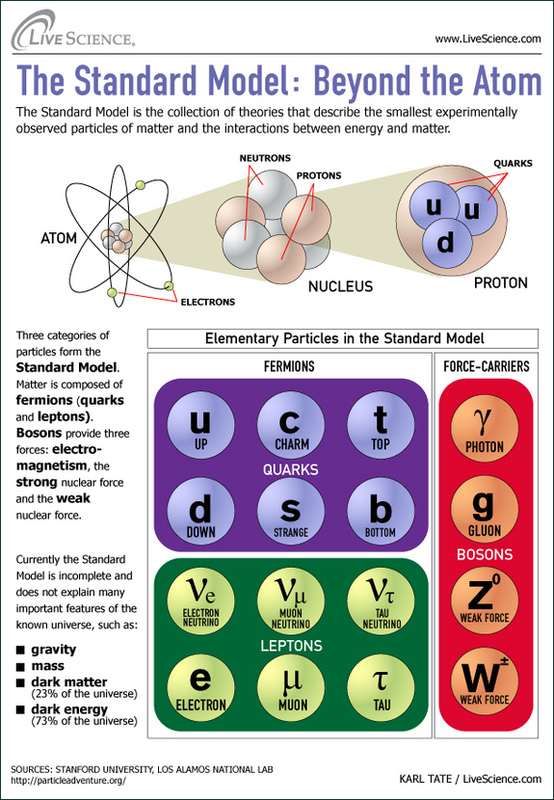 Time & Space: Fundamental units of matter grouped into “fermions” and other is “boson”. Fermions are particles with property of half spin (spin one half). Boson property made of one spin. These particles are not matter, light particles, move at the speed of light, fermion light and boson light. Fermions light not normal light like Boson light [eg. sunlight], it is zigzagging in space and time, creating space and time. What’s special about light particles? Einstein proved about light always moves at the same speed, whether going towards it or away from it – not relative speed, space and time must change to accommodate light speed so it be the same. It was an astounding discovery. So space and time are not the arena or primary, a construction from light. Light is the big guy that makes space and time. When moving at speed of light, there is no space, no time. For light, time and space is one, not separate, nothing is moving, not increasing or decreasing. For light the whole universe is a dot, everything is one. We are on the slower than light side of the wall and therefore move and think within time and space, we can measure time and space. For light space and time don’t exist, they come into existence from light. 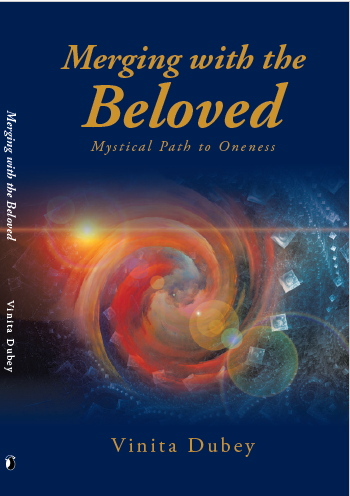 “You are a body of light interacting with the mind of God”. How does time and space disappear or come into being. In the beginning there was no space time or matter. Because the beginning was light, Higg’s field. Fermions zigzag in time, they are a mirror of zigzag and they become faster than light. Quantum physics says observation of an event takes place, before the observation cognition, mental activity, objects are not in an objectified physical form, they are in a field of probability which is called, quantum wave function QWIF, when observation occurs, there is an instantaneous collapse of possibilities into actuality and the perceived event, cognition, physicality pop into existence faster than the speed of light. If 2 things have at one point interacted and then separated from each other they can be light years away, these 2 particles affect each other, if we do something to a particle here, the particle on the other end of the universe will reflect the same change instantly. So a mind like activity must take place faster than light. Zigzagging in time, they are the mental activity, that’s mind. The universe is a mind, our mind is taking part. Electrons in the brain, gate molecules, etc. Mind and matter emerge from Higg’s field. What is it? It is God mind. Light dances in the mind of God. We are not matter, we are made of light, half spin zigzag fermion light, zigzagging in the mind of God, zigzagging fermions field in time, for mind activity. We need structure mind, matter and communication of information back and forth within the structure, which is boson field. Boson light is what we see with our eyes is what is carrying information and communication. When light is confined in quark fields of the nucleus it constitutes gluons, gluon field hold nucleus together, they form quark triplets, quark triplets form protons and neutrons make the nuclei. When Quarks communicate their main purpose is to communicate structure mass, heavy mass, quark field and gluon field. Nuclear fields also communicate they communicate electromagnetically with electrons which are very light. Electrons communicate sends out light signals, electromagnetic signals and bounce of satellites, satellite electrons send back a signal vibrations, into the ears, vibrations are light signals into your brain. Basis is light in the mind of God. Separate beings, we are not. Just one thing, one dream, part of the dream, God is dreaming us into existence. Quantum field theory, there must be faster than light somethings in the universe, it’s mind like. A memory is good as how far back it can go to bring forward information to form a sentence. In present you can’t form a sentence don’t know what words to use without memory. There’s a juxtaposition of info coming from the past and future. Tachyons does is it sends information in the form of light to a particle/s that are moving slower than light. You need faster than light to make mind activity. Something else happens in slower than light which is necessary to make sense of the world, which is causality, if we do something now we can make estimation effect in future, or current’s cause in the past as detective. In slower than light there is a logical pattern and sequence, can’t happen when going faster than light, only when slower than light. Anytime we have events, 2 events are connectable by signal travelling at the speed of light or less, they are called casual events, first is cause of second, in a sequence. These are time like event, they follow time like order slower or at light speed. When something is going faster than light, events which are connectable by something moving at faster than light, even though there is a sequence, it isn’t necessarily true that first event happened before second event, because they are connected by something moving faster than light. 2 people watching these events can see different sequence, they are not unique sequence in time, they are space like events. Universe is broken up into a field of events, you are at the crux of all the events, from your point of view there are events in the past, and future, time like events, and there are events you can’t know about before they are space like separated from you, the elsewhere events, world of events not connected to you because they are not connected to you by a signal travelling at speed of light or less. Elsewhere field is the field the world of tachyons live they travel in the elsewhere with no unique time order, yet when they interact with us they give us info about past and the present, which we can use to determine where who what we are. Connecting events with causality is our desire. Thought is faster than light to give you the ability to put things in slower than light order. Thoughts arise unconsciously. Brain activity occurs before we are aware of it or recognize it. We can let the thought flow, or field the negative thought with “NO” thought that comes out of wisdom, not conditioned “no”. Negation is the most powerful thought. Otherwise we are driven by our emotions. There is no fixed past. We can twist the past. What we observe to be now reconstructs the past. Past is in our mind and each one’s version is different.